As football season continues to approach, Pro Football Focus has been pumping out plenty of content on its Twitter feed highlighting many different players in a variety of statistical categories. Over the last two days, a pair of former Huskers earned some recognition for their performance last season. First, as Huskers fans are well aware of, Denver fullback Andy Janovich is really hard to tackle. However, this is a pretty good example of irresponsible use of stats and why most places put a minimum threshold players must meet to qualify. Janovich had four carries for 33 yards last year, including one run for 28 yards and a touchdown, his first carry as a pro. His other three runs went for 2, 2 and 1 yards. Mike Riley and his staff took over in Lincoln heading into Janovich’s senior year and turned the Gretna native into a valuable weapon for the Nebraska offense as a ball-carrier and receiver in addition to his vital roles as a blocker and special teams performer. 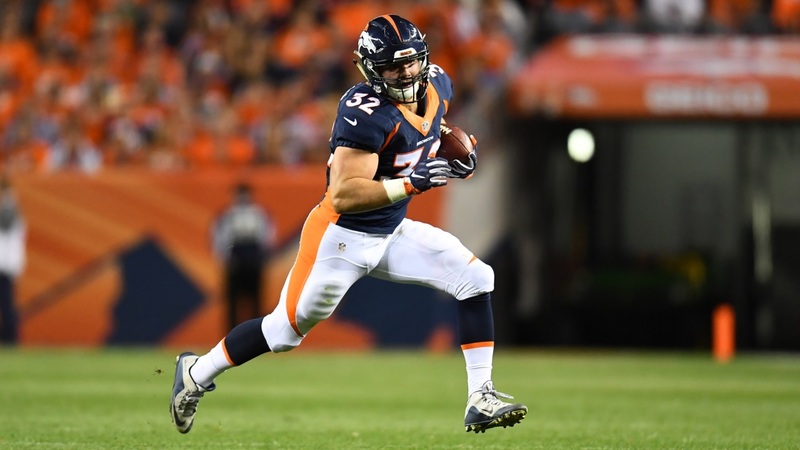 Perhaps after a successful rookie season Janovich could see an increased role heading into next year with the Broncos. The other player PFF highlighted is New York Jets wide receiver Quincy Enunwa. Enunwa led the Jets with 857 yards and four touchdowns in his breakout third season in the NFL. Enunwa was particularly effective down the field according to PFF. Enunwa had a terrific senior season at Nebraska after filling a reserve role his first three years. He developed into a physical force and a devastating blocker. He settled any doubts about his speed at the NFL Combine after he exhausted his eligibility at Nebraska by running a 4.45 40-yard dash, but his hands remained questionable. To see him catch 80 percent of his downfield targets shows that he is developing into a pretty complete wide receiver and he could be in store for an even bigger year next season with Brandon Marshall and Eric Decker moving on to other teams. On another note, Ian Boyd at SB Nation’s Football Study Hall authored an interesting piece last week on pro-style versus college-style offenses in football and the direction both levels are moving in. “Run the Ball Guy” has become the embodiment of the many, many Husker fans that want Nebraska to get back to the smash-mouth, run-first offense of the title-winning teams of the past, and that guy might be interested in reading this piece. The best players today are growing up with their eyes on the NFL and what it takes to get there. With the proliferation of private skills instruction, players are learning how to play the NFL game rather than the college one, and those schools that are more similar to the pass-focused pro game have something to sell to those recruits. Run-heavy teams will continue to find success so long as they can continue to recruit at a high level at the key positions (offensive line in particular) but as we saw in the 2016 National Championship, a team who leans more toward the pro-style drop-back passing offense (Clemson) can indeed knock off the traditional run-first power (Alabama) because of how difficult it is to defend that kind of advanced attack. It certainly looks like Nebraska under Mike Riley is opting to go the more pro-style route based on their recruiting since he arrived in Lincoln. The Lincoln Journal Star’s Brian Christopherson details the maturation process of sophomore cornerback Lamar Jackson, who is poised for a big year after learning what it means to work hard. Talanoa Hufanga, one of Nebraska’s top 2018 targets, is considered the No. 1 “athlete” in the class and could be pushing to earn a fifth star at this year’s The Opening. The Comeback continues its Big Ten position previews with the wide receiver and running back positions. Unsurprisingly, Nebraska did not make an appearance in either one.